Yesterday I wrote about my five favorite books of all time. Today I'll let you in on what I'm currently reading and what's in my "to-read-next" basket. Bryson is a very entertaining writer. 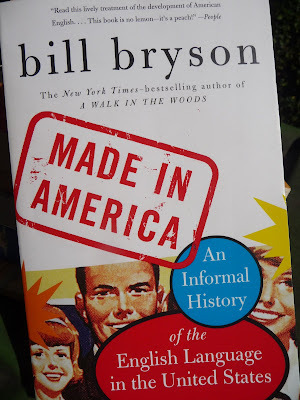 He had me in stitches with "A Walk in the Woods," his account of attempting to hike the entire Appalachian Trail. This one is more scholarly but still a pleasure to read. I'd recommend this book, above, to anybody interested in the English language, or in American history, or both. Friends have been raving about it. The description on the cover's inside flap sounds intriguing. 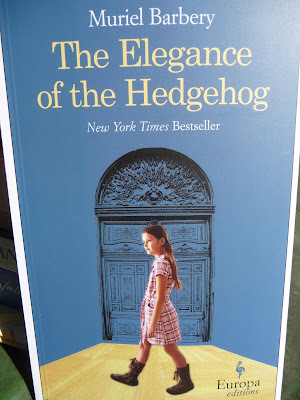 The main characters include a grumpy concierge in a Parisian residential hotel who keeps her intellect a secret and a 12-year-old loner of a girl who's decided she's going to commit suicide on her 13th birthday. Rave reviews and quirky characters? Count me in! 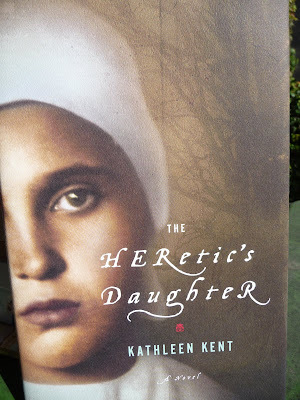 I don't know anything about this historical novel, but Kathleen Kent's ancestor is the main character in this book, set during the time of the Salem witch trials. That immediately caught my interest, since I've got one of those gals in my family tree, too: Mary Bliss. A quick flip through the book to establish that it doesn't look like a total piece of crud, and into the shopping bag it goes! What a visual! 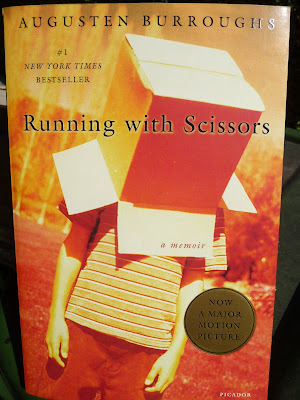 I remember reading a review of this one and writing the author name/book title on a scrap of paper. Where's the paper? Don't recall.... But I was impressed enough by the review to make note of the book, so that's good enough. Ka-ching. It's an adorable story about my second-favorite kind of dog, the Pembroke Corgi (okay, okay: it's a two-way tie between the Pembroke and the Cardigan Corgi). 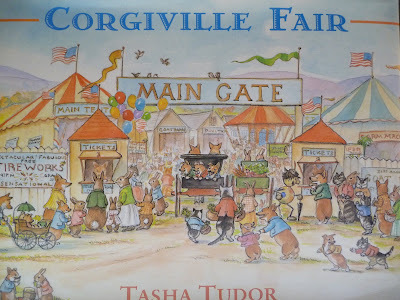 Tasha Tudor was a prolific children's illustrator and a real, original oddball. She lived a very simple life on her New England farm, replicating the dress and lifestyle of the early 1800s--down to the last detail. 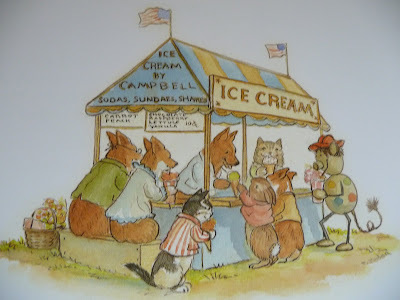 But odd or not, she was a fabulous author/illustrator. Shades of Beatrix Potter! I'll hang onto this book a short while, delighting in all the engaging details. Ultimately, I'll probably pass it on to a younger friend with a little one at home. Because it's going to be a long time until I have grandchildren. And meanwhile, I've got some really good books to read.